The bi-annual film festival Africa in the Picture which kicked off earlier this week in Amsterdam (Holland) on Sunday features the documentary 'Devious' which is currently being edited into a longer version for SABC, South African national television. The screening is followed by an interactive debate organized by Baobabconnections.org about the influence of commercial media on the daily lives of young people worldwide. "Devious is the story of an unsung hero. The central character of the film, Devious, was a community worker with Youth at Risk until his untimely death in January 2004. Over the past seven years he worked in various prisons and in many townships across the Western Cape, doing road shows in an effort to make a difference in the lives of these marginalised youths. The archive footage that I have accessed is remarkable documentary material that includes performances and a music video recorded in Amsterdam. The film reflects the passionate life and death of Devious, an icon of the Cape Flats. It explores the circumstances behind the crime rates in the community of Mitchell's Plain, and creates a platform for exposing the considerable musical talent the Cape has to offer. Mr. Devious was more than just a rapper; he was a social activist who used his music as a tool to fight injustice globally. His lyrics described the reality of life on the Cape Flats and he often spoke of finding alternatives to the township violence and desolation." The 20-minute documentary can be seen on Sunday 11th September, 20 hrs at Bitterzoet (Amsterdam). It features footage from many different sources of Devious talking and performing, and comments of people who were close to him. 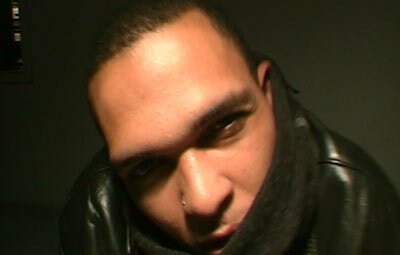 Included is also the music video of his track 'Raak wys' which Africanhiphop.com started making with him in 2002. The current production will be edited into a longer version with extra footage shot in Amsterdam of interviews with artists who worked with Devious during cultural exchanges. Devious' family is also working on compiling his recorded tracks for an album release. News articles: RoofTop MCs: Young Soul Rebels - download mp3's! After two trial shows, our new African Hip Hop Radio site is live! On the 1st of July, the newly built website <a href="http://www.Africanhiphopradio.com" target=_blank>Africanhiphopradio.com launched its first pan-African hip hop webcast. Uniting presenters/deejays from five African countries, it's the first time in history for hip hop radio from all over the motherland to be available in one place. The webcast is interactive as it allows African emcees to upload their own tracks, which are added to the playlist. The free monthly show of over five hours with music, news and interviews gives a unique insight into what is happening in hip hop communities in places like Cape Verde, Nigeria, South Africa and Angola. African Hip Hop Radio is the latest project by the African Hip Hop Foundation, the team behind the popular Africanhiphop.com website. Africanhiphop.com is the web's oldest and most popular site on the internet exposing hip hop from the African continent, serving news, biographies, links and an active discussion/battle forum. The radio site is a response to demands by its visitors for more music, and an outlet for the many promos and demos that artists on the continent send in. The first show features contributions by Lee from South Africa's hugely popular radio station YFM, Mode IX and Harry Okoh from Nigeria, Revoltod from Cape Verde, Cavera from Angola and Drew & J4 from Holland playing tracks from all over the continent. It includes interviews with Fleet from the Grassroots Artist Movement (Nigeria), Godessa's producer Grenville (South Africa), LOD (Cape Verde) and many more. In addition, the twelve best tunes that were sent in by website visitors have been added to the playlist. In the months to come, new presenters will be added from Senegal (rap veteran Xuman from Pee Froiss), Uganda (Black Reign) and other countries. Also, guest deejays will be featured with special mixes done for the show, including an old school run-down of tracks from Tanzania and Senegal. Each show will have interviews with local emcees as well as big names on the international scene such as Akon (USA/Senegal) and procucer Madlib who recently sampled an Eritrean tune. To tune in, you will need a player that can handle mp3 streams such as the free Winamp player. <a href="http://www.africanhiphopradio.com" target=_blank>Visit the Africanhiphopradio.com site now for more info and the listening links! AfricanhiphopRadio.com is a project of the African Hip Hop Foundation, a pan-African non-profit organization registered in the Netherlands. The radio site was built with support from Dutch IT fund Kennisland. You can send your mp3's to mp3@africanhip.com or contact us using the contact form. News articles: OJB Jezreel: The Ubiquitous, The Quintessential - download mp3's!